Jamie Cundy, a PGA professional since 1994, is experiencing exciting times as Golf Manager at Calderfields Golf Club in Walsall. 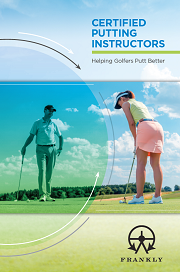 A Fellow Professional of the PGA and a PGA Director of Golf, Jamie has recently qualified as a Certified Putting Instructor, with a view to enhancing the golf experience at the golf club. “As the Golf Manager I am tasked with pushing the business forward with new ideas and ways we can enhance the golf experience for our members and visitors. “It was a good time for me to do the CPI qualification because at Calderfields we have just opened a new performance centre, one element of which is our indoor putting area where we are going to do more putting specific lessons and putter fittings. 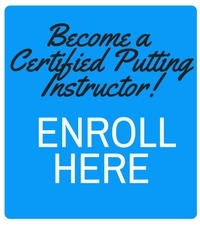 “There is nothing else available in PGA education that is like the CPI Course. Over the last 10 years I have done lots of qualifications and stayed ahead. I enjoy learning and getting involved with courses to give me that extra education to help me achieve my long term career goals. There are lots of swing certifications, but putting is such a big part of the game and it is nice to have firm knowledge rather than guesswork. With his new qualification, Jamie looks forward to having more of a focus on putting with experienced and new golfers at Calderfields through the pathway he is developing, as well as providing ongoing coaching support.